We can say that virtually all the translators we work with are native speakers and live in the country of destination of the translation, so we can be sure that the document to be translated from English - Japanese is in good hands. We also consider the nature of the document and the field of work, and if this is specialized, decide whether it is necessary to employ a specialist translator. In the tourism and marketing area English-Japanese translators can use their creativity, which is not the case in other fields such as the translation of contracts, patents, financial reports, etc., where translation must be more literal. To make it easier for you to deal with us, we provide the services of a project manager. The latter will be your contact person and will accompany you throughout your translation projects from English - Japanese or any other language, answering all your questions and making sure that the translation is ready by the agreed deadline. 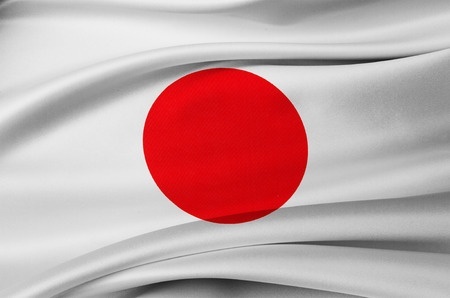 We know that Japan is an archipelago formed by four large islands and thousands of smaller islands; that the metropolitan area of Tokyo is the most populous in the world and one of the most polluted; that it is the third most important economic power in the world, and that it has the tenth largest population; that over 120 million people speak the language, and that the Japanese regularly suffer ruthless natural phenomena. But what do we really know about the so-called «land of the rising sun»? Did we even know that this is what its name means in Japanese? If we ask our children or younger brothers or sisters, they will tell us about the various forms of the manga culture, which has found millions of followers in the West in recent years, as evidenced by the numerous associated events taking place in our cities. But, did you know that the various genres of Japanese manga deal with «serious» issues, that its readers are of all ages and that it is actually more popular than television? You will probably have seen many young people with tattoos of Japanese characters. Many of them are probably unaware that Japanese has two different writing systems —kanji (consisting of both ideographic characters, representing ideas, and phonographic characters, representing sounds) and kana, which, in turn, consists of hiragana and katakana— which are used for different tasks in very specific social circumstances. Japanese is usually ascribed to the Austronesian family, but it is a relatively isolated linguistic phenomenon with its own idiosyncrasies. Although we undoubtedly realize that it is an extremely complex language full of nuances, are we really aware of its peculiarities? Did you know that the verbs come at the end of the sentence, that broadly speaking there are no articles, genders, plurals or future tense, and that all these things must be deduced from the context? Did you know that as a result of this even the organization of ideas differs from western structures? Are we aware of how all this affects the act of communication? The media and mass culture have fostered a number of stereotypes about Japan (ancestral traditions, technological advances, unbridled consumerism, especially in the case of young people, karaoke, etc.) which offer us a partial picture that does not necessarily reflect Japanese reality and does not contribute to understanding between our cultures. Fortunately, the trade relations and cultural contacts we now have, along with access and exchange of first-hand information largely thanks to the new technologies, are putting an end to this situation.